Turn plain tarts into ravishing beauties with creative garnishing. Some chocolate curls or rolls, a mint sprig, a few raspberries or a slice of star fruit, combined with a dab of crème fraîche or whipped cream, can turn something simple into something special. Read THE NIBBLE’s article on Garnish Glamour for dozens of ideas for both sweet and savory foods. 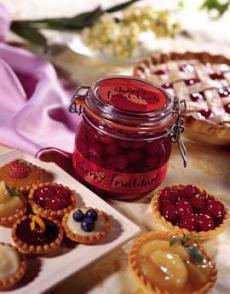 Put your own garnish on these tarts made from Clearbrook Farms Tart Kits, a Nibble Top Pick.